The container is made from polypropylene and can withstand the impact of being toted on your kiddo’s next adventure. Free of Bisphenol-A, phthalates, melamine, PET, copolyester, PS, PA, and biologically harmful chemicals. The compartments are deep and large. The large compartment was smartly designed to hold a sandwich cut in a triangle. 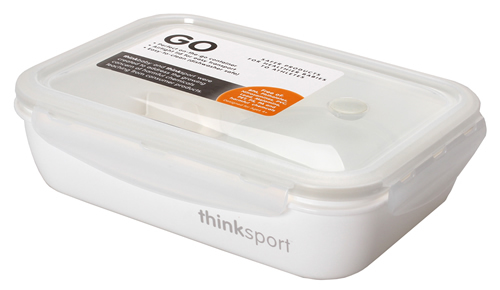 The GO Container features easy-close sides. For storage of liquids, dips, fruit , etc. we included a small container with a lid. Cleaning: Simply toss in the dishwasher. 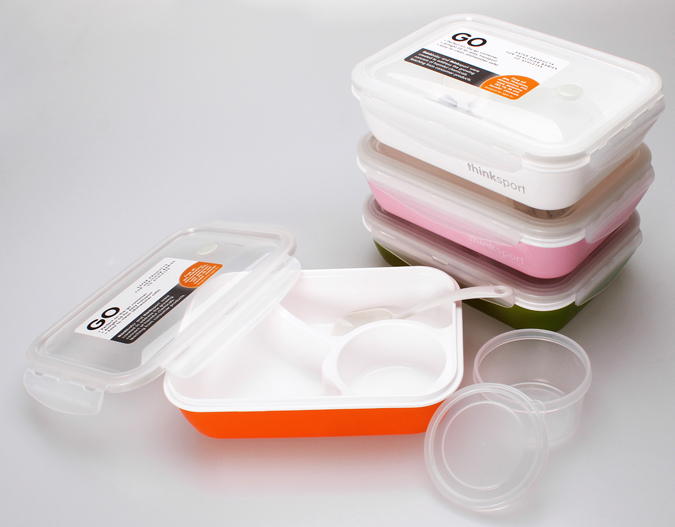 We recommend placing the small container and its lid in the top rack. We also recommend using a non-chlorine based detergent such as Seventh Generation or Ecover. It doesn’t make sense to purchase safe products and wash them with detergents with potentially harmful chemicals. To Microwave or Not to Microwave: The short answer is that this product is made of polypropylene and we do not recommend microwaving plastic of any sort. There are several reasons for this. 1) Microwaves don’t heat evenly, so what you think might be the right temperature might be difficult to control. 2) We formulate products without hazardous chemicals, but microwaves use high heat which could potentially create new chemicals with whatever you’re microwaving. 3) Plastics can develop hot spots, so what you believe is cool, might actually be very hot. ** At the end of the product’s life, please be sure to recycle.